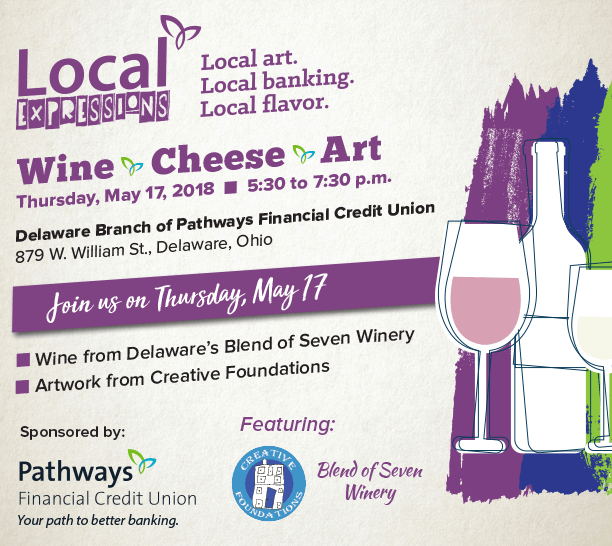 Join Pathways on Thursday, May 17, 2018 as we celebrate our local Delaware treasures at our new Local Expressions event. Enjoy wine from Blend of Seven Winery, and art from local artists from Creative Foundations. Pathways Financial Credit Union will host the event at our Delaware branch, 879 W. Williams St. Admission is free. 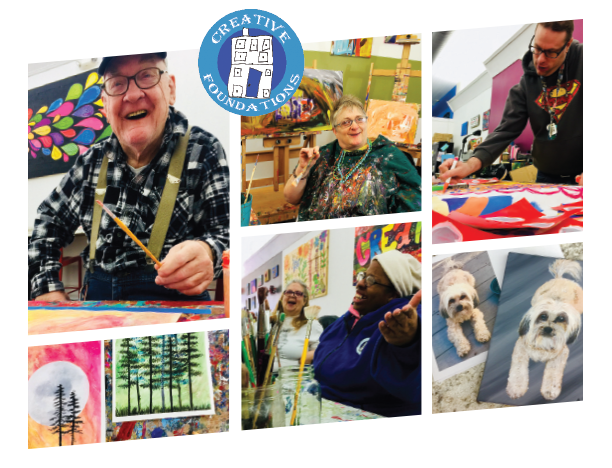 Creative Foundations uses art and creativity to provide support, community integration, and independence to adults with developmental disabilities. All artwork is designed and created by artists independently or collaboratively. The artists offer a variety of original pieces including greeting cards, paintings, and custom pet portraits in their studio at 57 N. Sandusky St. The Creative Foundation’s signature artwork is the Buckeye Flower. Artists create designs on recycled aluminum and wood to produce this unique work. Blend of Seven Winery’s name was inspired by family. Owners Steve and Sandi were married in 1994, blending Steve and his three children with Sandi and her two children. They crafted wine for family and friends for years before turning their passion into their winery on Stratford Road in Delaware. They pride themselves on producing wines that showcase the grape over the sweetness, oak, and other added flavors.